I have a HP Photosmart C4600 printer. I need a replacement black cartridge but I can't find Photosmart C4600 on your list of models. Will a Photosmart C4640 cartridge fit my printer? 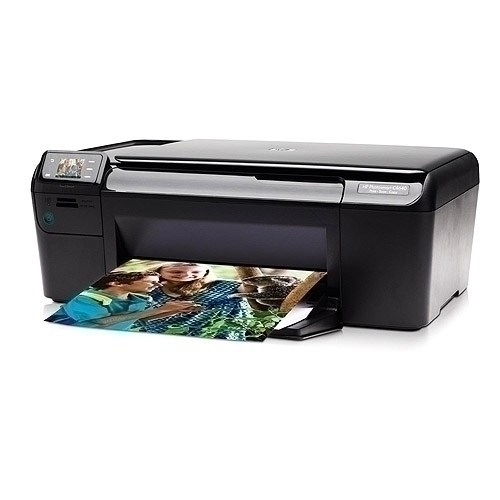 Is the HP 300 for the Photomart C4640 printer-scanner-copier the same as the HP 60 cartridges? The HP 60 cartridge is not a UK model cartridge. It's possible that the HP 60 is the US equivalent of a HP 300 cartridge used in the UK. However, it's not possible to use HP 60 cartridges in a Photosmart C4640 printer that was purchased in the UK and vice versa. Therefore, if you don't have a Photosmart C4640 (UK model) the HP 300 ink cartridge will not work in your printer and cannot be used as an alternative to the HP 60 cartridge. Online retailers offer great savings over the high street but with so many companies out there which one do you go with? The one which offers great prices? The one where shipping is included or the one with great customer reviews? How about the one with can offer all three! Suffice to say, Cartridge Save can supply the C4640 ink at unbeatable prices with customer service experience which is second to none. Buy your HP C4640 printer ink now at Cartridge Save and you could gain not simply energy, you'll also find good deals! Reap the benefits of next day delivery which is included on every last purchase of bargain HP ink, no matter how much you buy. Any HP C4640 inkjet supplies purchased from Cartridge Save are fully protected with a cash-back pledge. In the event that you encounter difficulties, simply just mail us the order and get a full refund. When there are unreal offers like ours you can really spend less Cartridge Save. A dependable family printer, the HP Photosmart C4640 is perfect for everyday printing projects and provides the added bonus of a scanner and copier. This all-in one device will blend in with your existing set up with its sleek design and elegant black finish. The Photosmart C4640 is very user friendly, thanks to its smart touch display. The paper feed tray doubles as the paper catch for printed pages, causing of accidental print-overs. The Photosmart C4640 is one of the more handsome models from HP. It is a compact printer with a flatbed scanner right on top, a paper tray in front, and a state-of-the-art touch control panel on the upper left corner, with colour display and easy touch keys. The Photosmart C4640 is also the ideal choice for the green home, with its energy saving and eco friendly features. Suitable for everyday scanning, copying, and printing, the Photosmart C4640 boasts a 23ppm print speed (in colour), 1200x1200 optimized dpi resolution for scanned images, and high resolution graphics and photos. It can produce 10 copies at a time and allows borderless printing up to 8.5x11". The Photosmart C4640 does not have a separate paper feed and paper catch. It also does not support wireless connectivity, and is not suitable for a small office looking for a multifunction device with faxing capabilities.